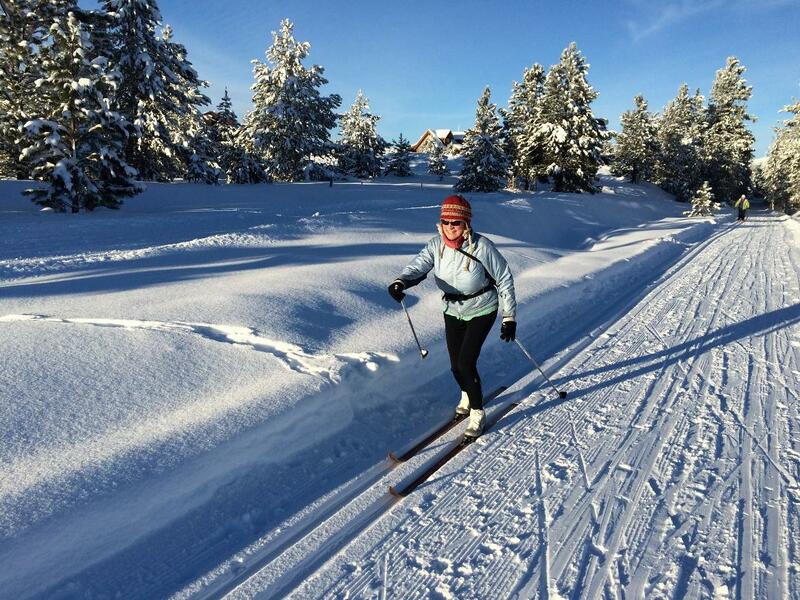 You can tie into the trail at the corner of Moonridge Drive and the North Valley Trail or park at the Activity Barn, a great tubing hill south of McCall near Mission Street and Moonridge. The North Valley Trail runs for 3.5 miles south to Heinrich Lane. The trail is available for free, but donations to Valley County Pathways are encouraged and appreciated to cover the cost of fuel and grooming services. If you’re snowshoeing or fat biking, be sure to stay to one side of the trail to leave a smooth lane for xc skiers. A new feature this year is the Activity Barn is providing lift-service at the tubing hill, and they have a 5-kilometer groomed trail that also is open to xc skiing, snowshoeing and fat biking. Dogs are welcome, and there is no trail fee. If you ride the lift, there is a fee for that.